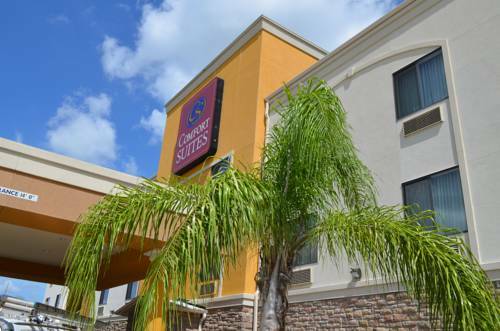 The Comfort Suites is located near all of Houstons attractions, businesses, shops and restaurants. Located in the heart of the energy corridor near I-10 and Hwy 6. All rooms are suites at this hotel with separate sitting/work area and bedroom. All suites have LCD TVs, high speed internet, sleeper sofas, desks, micro-fridges, coffee makers, irons and boards, hair dryers and two phones. The hotel provides a full hot breakfast and has a meeting room, guest laundry, pool and exercise room.